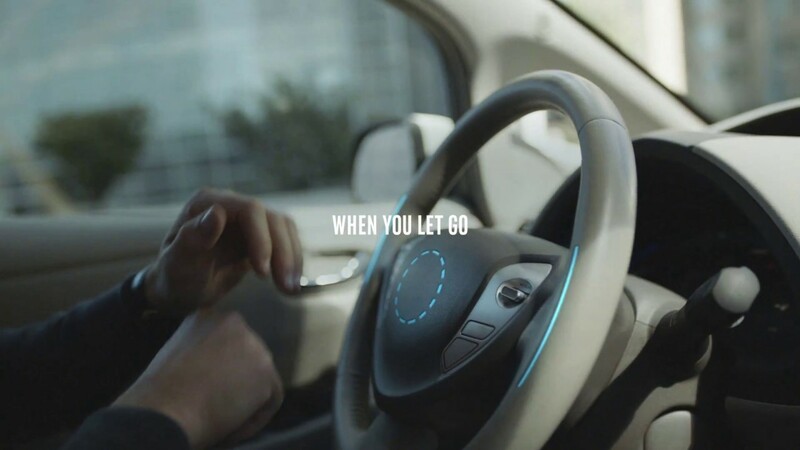 Before CES 2017 began, Intel kicked off the event with announcements cementing its role as a leader in automated driving and 5G technologies and as a home for innovation in virtual reality — or the more advanced merged reality. 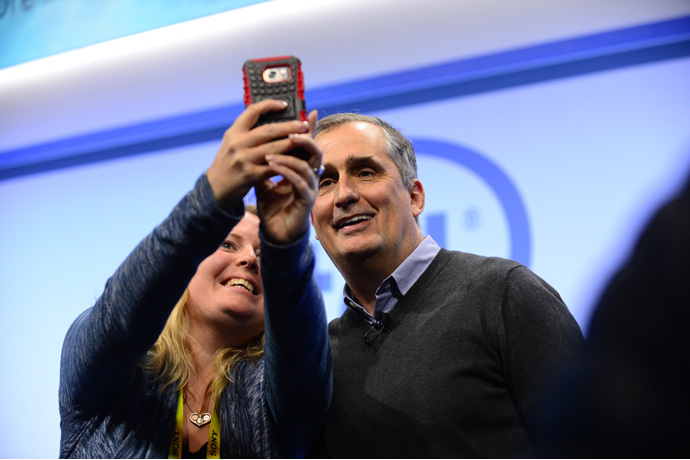 Intel’s leaders displayed the company’s commitment — announced at last year’s CES — to expanding the boundaries of technology to make amazing experiences possible. 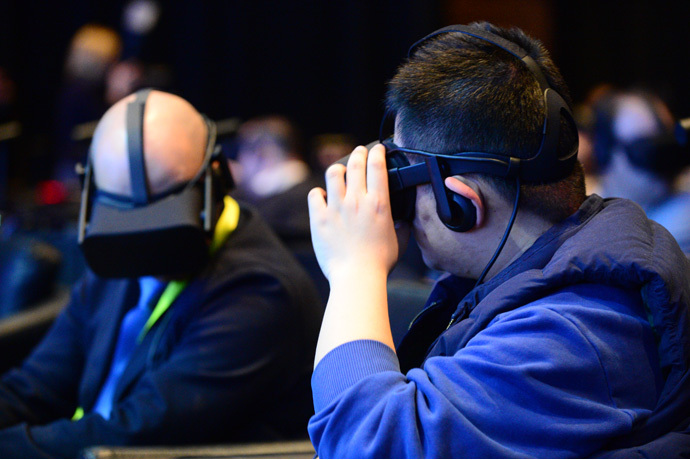 During the news conference — and in an editorial – he also articulated the company’s vision for the future of VR and merged reality technology and how these technologies will reinvent the experiences of travel, work safety and productivity, and sports and gaming. 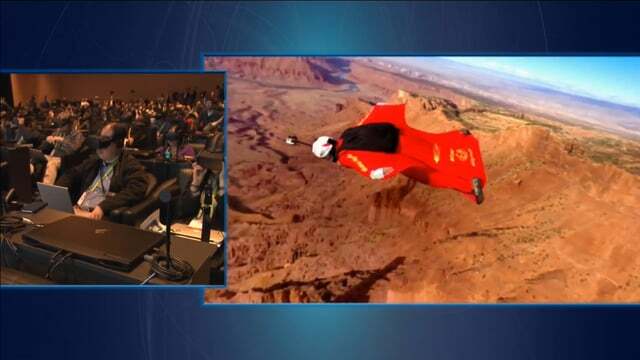 Krzanich led the audience through a series of pre-recorded and live VR experiences, starting with an immersive wingsuit flight over Moab, Utah. Audience members experienced the Ban Gioc waterfall, one of Vietnam’s most breathtaking natural sights. They went on a low-altitude drone-powered inspection of a Nevada solar power plant. They sat courtside at an NCAA basketball game. 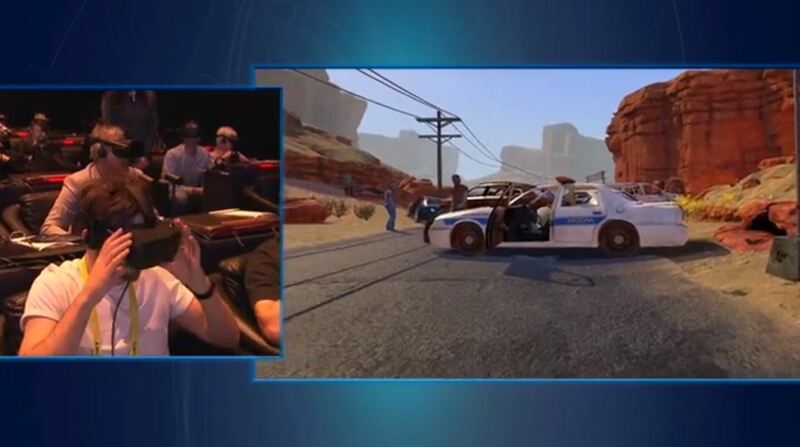 And they experienced a zombie apocalypse in the new “Arizona Sunshine” VR game. 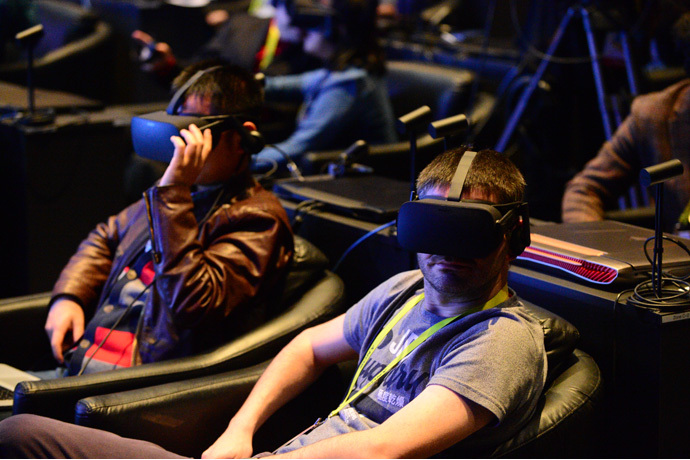 All the experiences were powered by 7th Generation Intel® Core™ processor-based PCs and Oculus Rift VR headsets. 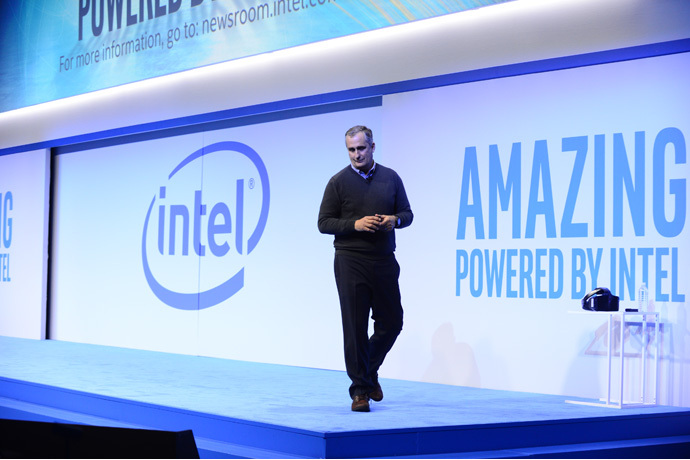 A replay of today’s news conference will be available in the Intel Newsroom. 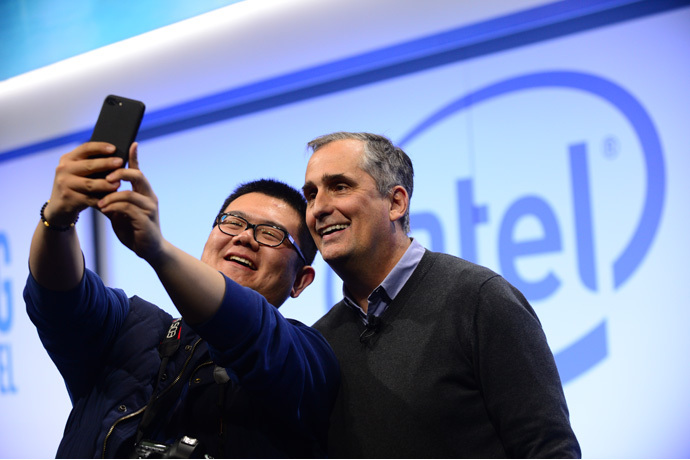 It’s also the home for all Intel news and updates related to CES 2017. 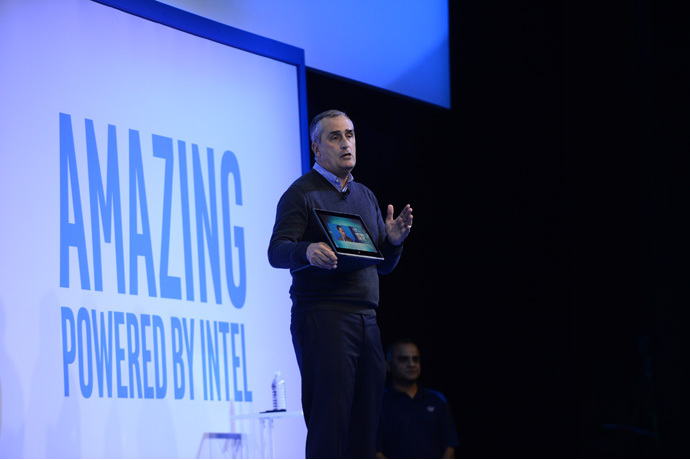 On Wednesday, Intel displayed the first 10nm-powered 2 in 1 PC running Intel’s next generation processor, codenamed Cannon Lake. As part of the demonstration, the 2 in 1 played the company’s latest commercial featuring Jim Parsons and Michael Phelps. The company continues to expect to ship Cannon Lake chips this year. 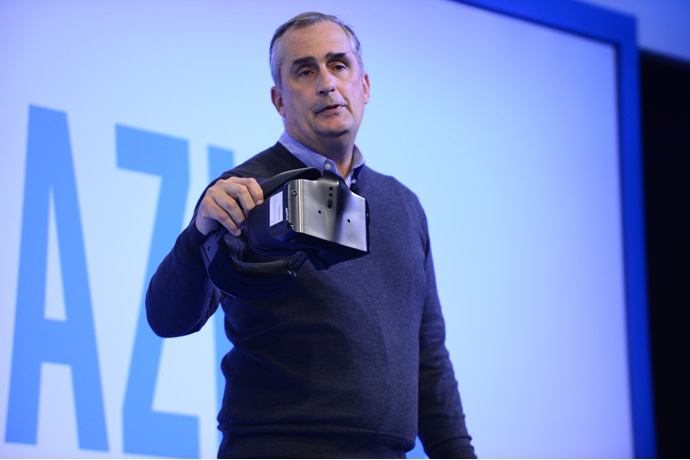 Krzanich showcased the first demonstration of a live sports event streamed with Intel’s virtual reality technology. He disclosed plans to bring VOKE VR to Oculus Rift later this year. 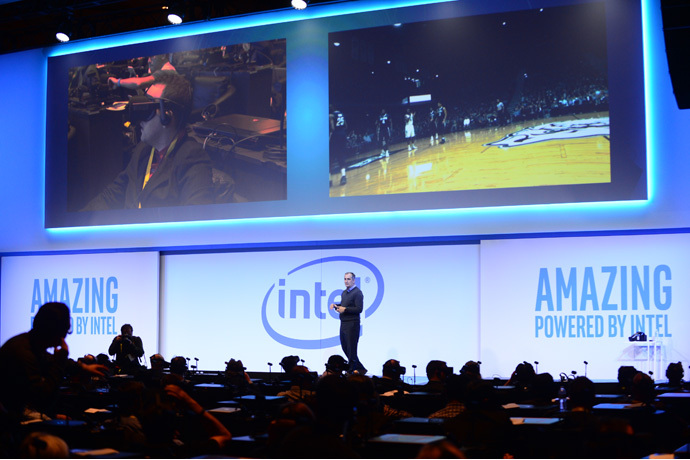 Intel will be among the first technology providers to enable the live sports experience on multiple VR devices. 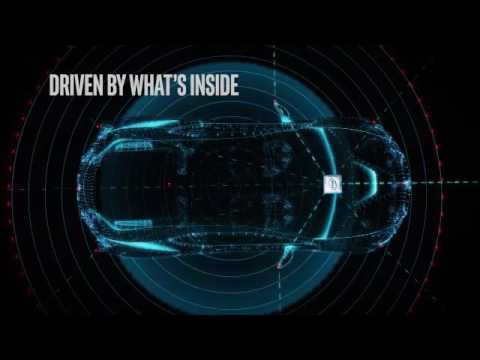 The news conference marked the first time 250 people in the same place at the same time independently performed a live industrial inspection using 360-degree, 4K video. The audience inspected a 2,000-acre solar power plant in the Moapa River Indian Reservation. A drone loaded with Orah 4i high-definition cameras and a low-power, high-latency computing solution gathered the inspection data. 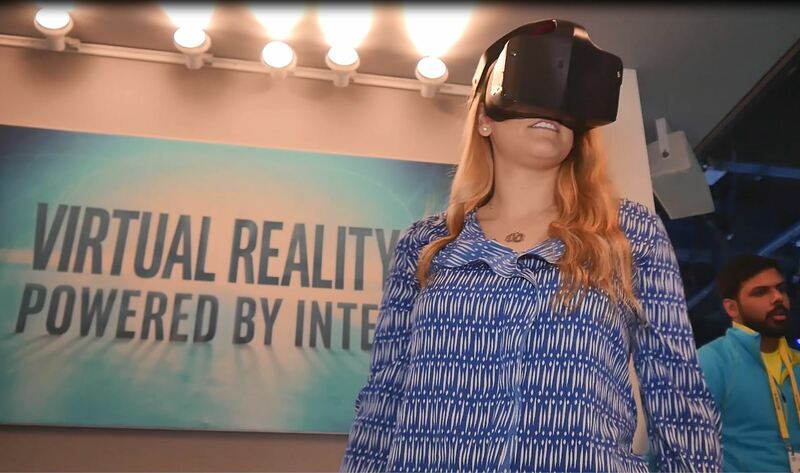 Intel and HypeVR, a computer vision company focused on developing ultra-high-resolution live action VR capture and playback with six degrees of freedom, announced that they are looking to partner to bring HypeVR volumetric video content to Project Alloy in 2017. 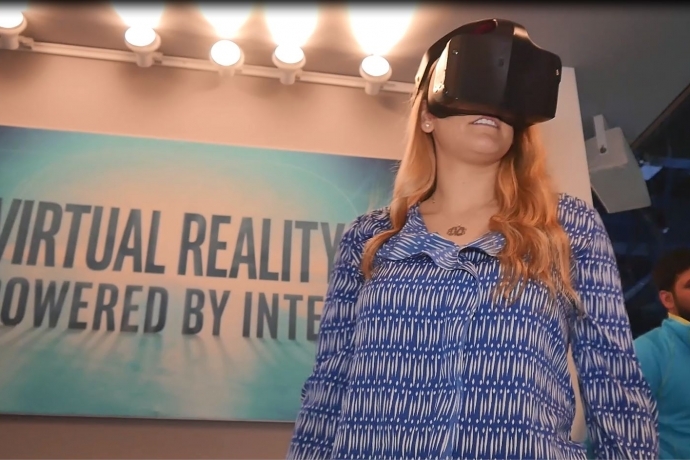 Unveiled in August, Project Alloy is an all-in-one merged reality solution in which the real world and virtual worlds are seamlessly combined. 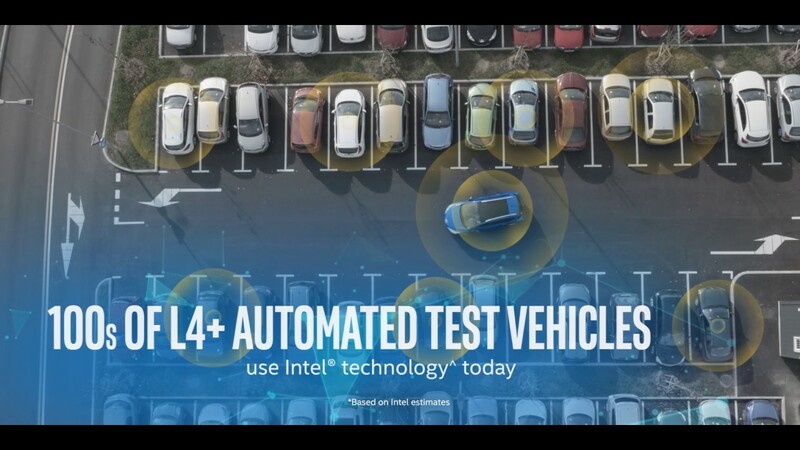 Intel also announced today that it is planning to productize the open hardware platform in the fourth quarter with some of its top OEMs. HypeVR’s proprietary volumetric capture and playback engine powered the live action VR exploration of the Ban Gioc waterfall, one of Vietnam’s most breathtaking natural sights. It was the first public demonstration in which viewers could freely walk around in a live-action, non-artist created CGI video. 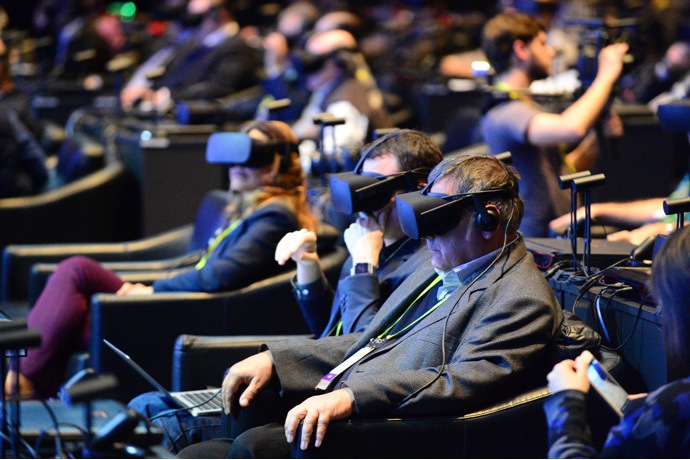 The audience moved in, out, and around the 3-D scene. 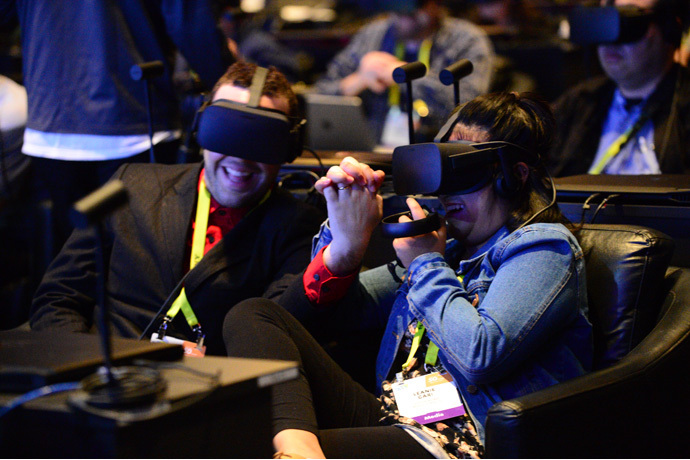 The experience foreshadowed the future of video and a different way in which content potentially will be created for VR.